Senior Living Software that works for you. 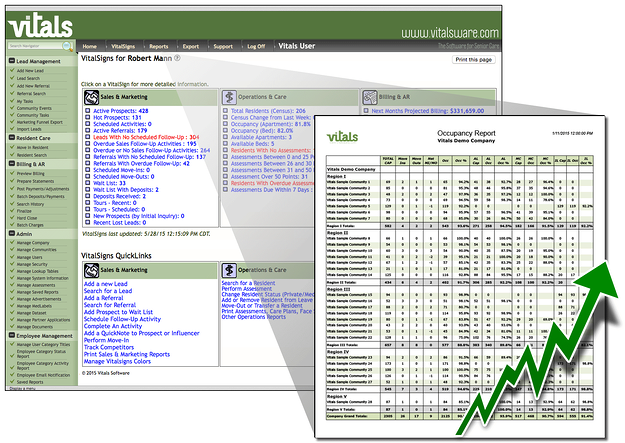 A powerful and easy to use lead management software with a proven track record of increasing occupancy. You need to deliver great care. 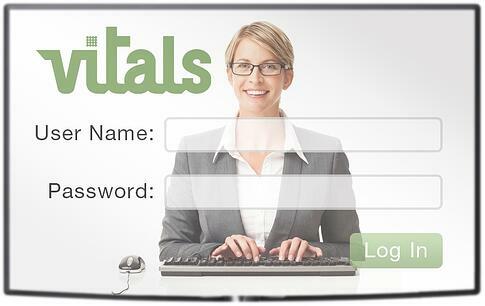 Vitals makes the data entry simple so the software gets out of your way. Your data is available any time and anywhere you need it. No software to download or install. That's the power of the cloud. 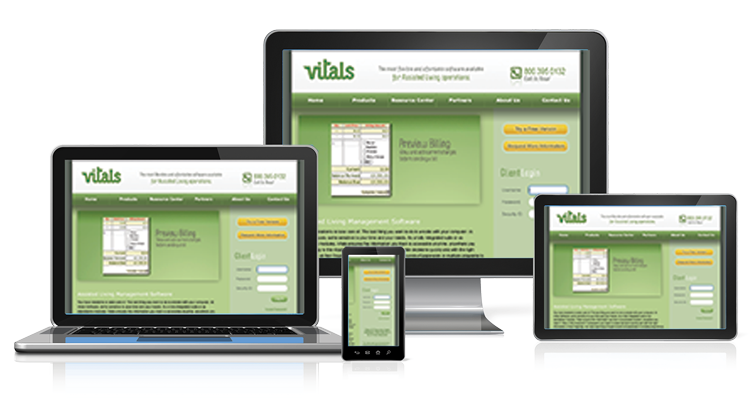 For the past 14+ years, the expert team at Vitals has been delivering the highest quality software and services designed to optimize the senior living experience. Many of the top performing senior living companies utilize Vitals to deliver services to over 50,000 residents in more than 500 communities. When Northstar Senior Living needed a solution to consolidate the sales, census, resident care and billing features from three separate applications into just one, Vitals was chosen as the best solution for the task. I consider Vitals to be one of the most innovative and adaptable solutions available to the Assisted Living market.